The urban gardens at Nathan Hale High School provide students with the opportunity to learn about sustainable agriculture through hands-on horticulture activities that are conducted on the school grounds. 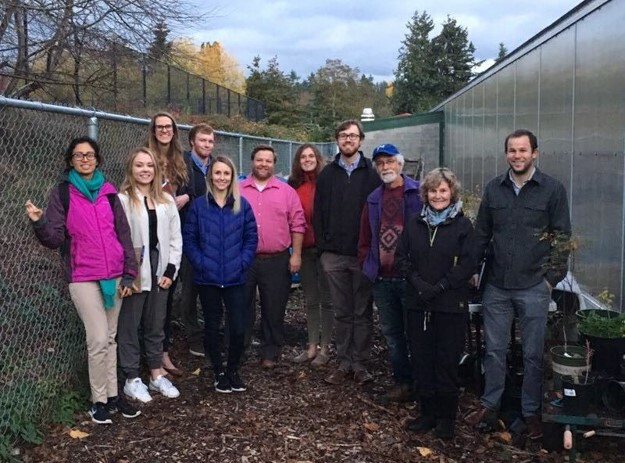 The educators who manage this farm have approached the Puget Sound Professionals chapter of Engineers Without Borders (EWB-PSP) asking for assistance in designing a rainwater harvesting operation. In having a system that can collect and store the often overwhelming amount of rainwater that hits the farm during the wet season, the Nathan Hale urban gardens team will be able to reduce their overall water consumption. Volunteers from EWB-PSP and the University of Washington chapter of EWB are currently working on the design for this structure, with plans for construction set to commence in the summer of 2019. If you are interested in joining this project team, please contact president@ewbseattle.org. A non-profit organization that started with a small group of volunteers in Midland, Texas in 1973, Rebuilding Together is a nationwide network of over 100,000 volunteers who seek to repair homes, revitalize communities and rebuild lives. 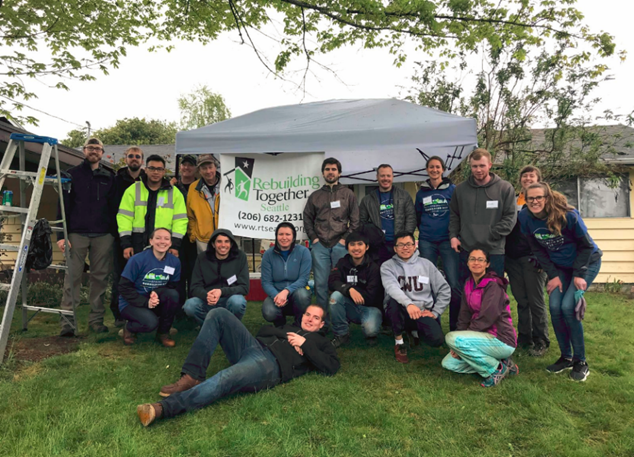 Every year, the organization hosts its National Rebuilding Day in April, where the Seattle chapter of Rebuilding Together assists low-income residents in the Puget Sound community through the implementation of home improvement projects. EWB-PSP is proud to have several of its members partner every year with Rebuilding Together Seattle as well as the Seattle chapter of ASCE to ensure that this day of action is a success. There are a variety of tasks that the team is assigned to complete during National Rebuilding Day, from refurbishing bedrooms to constructing a wheelchair accessible ramp and even cleaning out roofs and gutters. If you are interested in joining us for the next National Rebuilding Day, please contact president@ewbseattle.org. The Shadow Lake Bog is a former illegal dump site that was transformed into a nature preserve when two concerned members of the community purchased it along with a surrounding 18 acres of land in 1995 with the intent of restoring the area to its natural charm. In the time since the purchase was made, this priceless piece of wetland has gone through a significant amount of restoration to become the SHADOW (Save Habitat And Diversity Of Wetlands) Lake Nature Preserve. Today this nonprofit organization stewards 109 acres of permanently protected land and provides education for members of the local community on the importance of environmental restoration. 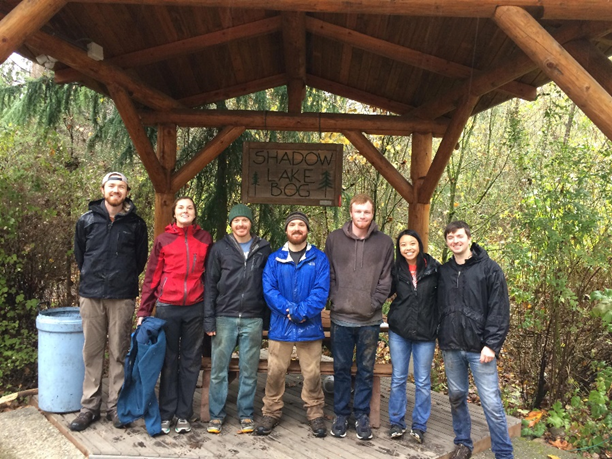 On a rainy Saturday in November 2018, several members of EWB-PSP stopped by the Shadow Lake Bog for a day of volunteer service, helping to clear foliage from the bog trails as well as remove invasive species and large debris.